It goes without saying that a pizza stone is one of the keys to making a perfect pizza. The science behind pizza stones is relatively simple: the stone conducts and holds heat, which keeps the oven temperature steady even when a cold ingredient (such as an uncooked pizza) is introduced. This not only helps the pizza cook more evenly, but also allows the bottom to get crisp. But this approach works for a heck of a lot more than just pizzas. The even temperature and piping hot cooking surface work on a lot of different dishes. And if you don't have a pizza stone? Don't worry! A few cheap unglazed ceramic tiles serve as a perfect replacement. I adore roasting whole chickens, and in my opinion, there's no better way to achieve a perfectly crispy skin than by utilizing a pizza stone. Plus, it couldn't be any simpler: crank your oven up, truss your chicken, season it, and place it directly on the hot stone. 45-60 minutes later, and you'll have a perfectly crisp roast chicken. Roots and vegetables cooked on a pizza stone are a perfect compromise between pan-roasting and grilling: they get more char than the former, but not quite as much as the latter. Which, it just so happens, is mighty tasty. You can cook any roots or veggies on a pizza stone just as you would in a pan or a baking sheet, just make sure the stone comes to temperature before you add your ingredients. 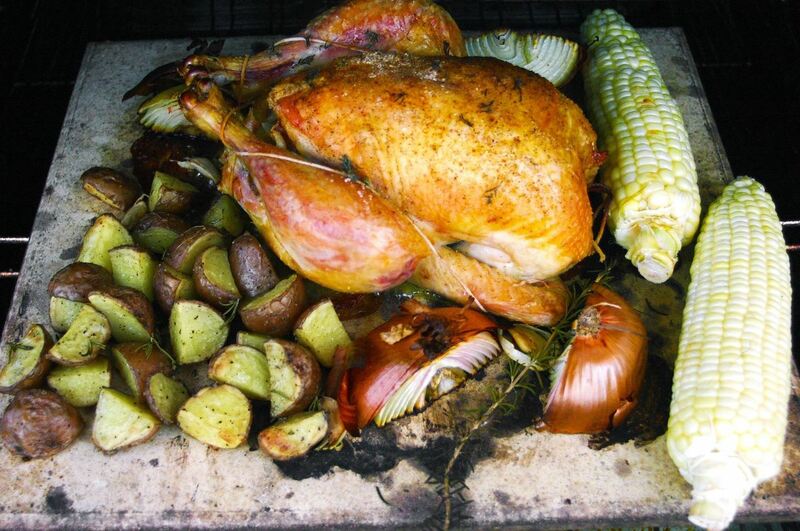 My favorite is to do an entire meal on a pizza stone, such as in the above picture: You can do that by simply roasting a chicken, and adding veggies about halfway through; everything will finish cooking at the same time, and you'll have an easy "one-stone" meal. Maybe it's because my favorite part of the bread is crust, but I'd posit that pizza stones are actually more necessary in bread baking than in pizza making. With an item as large as a loaf of bread, a stone has a huge impact in making sure that the bread is baked through and the crust in thick and crunchy. This isn't essential with certain breads, such as rolls and bagels, but with sourdough or ciabatta? You can't get the signature crunch in a home oven without a smoking hot stone, especially if you also steam your bread. The amount of baked goods you can cook on a pizza stone is virtually endless. One of these things (and my personal favorite), is a giant cookie. 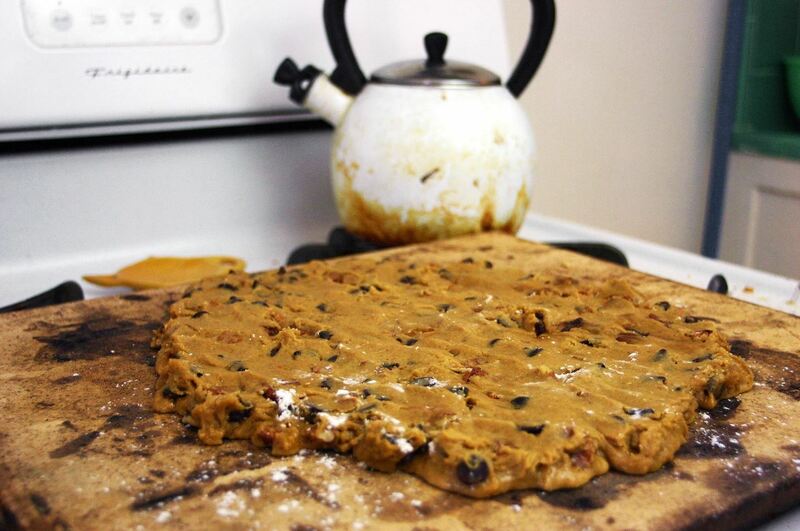 It's really as simple as it sounds: spread an entire batch of cookie dough across a hot pizza stone, and throw it in the oven. I learned the hard way that generous glob of vegetable oil can make it a lot easier to get the cookie off at the end. Since stones hold heat so consistently, they can be incredibly reliable for warming ingredients. 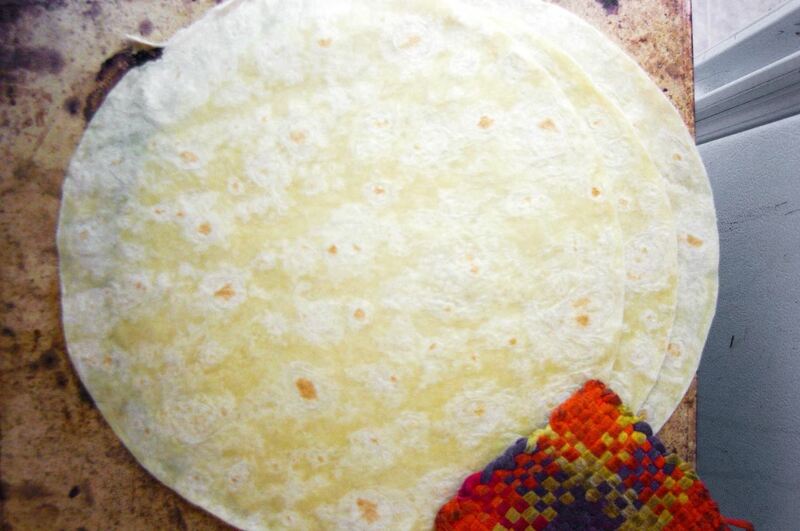 I throw my oven on low (180ºF) any time I need to warm up tortillas or bread, or to hold mashed potatoes or meat warm until the meal is ready. It would seem like you could ruin pizza stones by cooking greasy foods on them, but that's really not the case. As soon as they've cooled down, just use a dough scraper or spatula to scrape off any stuck bits, and then rinse and scrub with no soap. For other tips on keeping your stone intact, see here. And if you really want to get serious about the consistent temperatures that a pizza stone helps achieve, you can try a baking steel, which is designed to absorb and retain heat perfectly. They're a little pricey, but not too much more than a traditional pizza stone, and you never have to worry about it cracking or experimenting without other foods besides pizza.